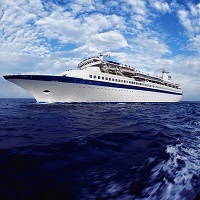 Have a luxurious and exciting experience with our Cruise Services, which we render from our base in New Delhi, India. OSR Vacation Pvt. Ltd. can arrange for you a relaxing and mesmerizing water journey at renowned Cruises fully equipped with movie theaters, restaurants, libraries, health clubs and many more facilities. You can rest assured; we can get you a plan that will suit your budget perfectly. Whether you wish to travel alone or with your family/ friends, with our services, you can make your trip an unforgettable experience. We can arrange a cruise to destinations such as Singapore, Bangkok, and Malaysia.